S.S. Rajamouli after his massive blockbuster 'Baahubali 2' has begun his next mega multistarrer 'RRR' starring Junior NTR and Ram Charan Teja in the lead role. The first schedule of shooting happened in Hyderabad where a high octane action sequence was canned and the new schedule was planned to be shot from today in Pune. The 'RRR' team has announced "We regret to mention that Ram Charan confronted a minor ankle injury while working out at the gym, yesterday. The pune schedule has been called off. Back to action in 3 weeks!" 'RRR' written by Vijayendra Prasad and music scored by M.M. Keeravani has Ram Charan Teja, Junior NTR, Alia Bhatt, Daisy Edgar Jones, Samuthirakani and Ajay Devgan in the cast. 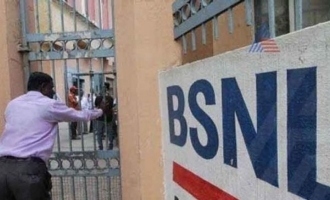 BSNL to layoff 54,000 employees?